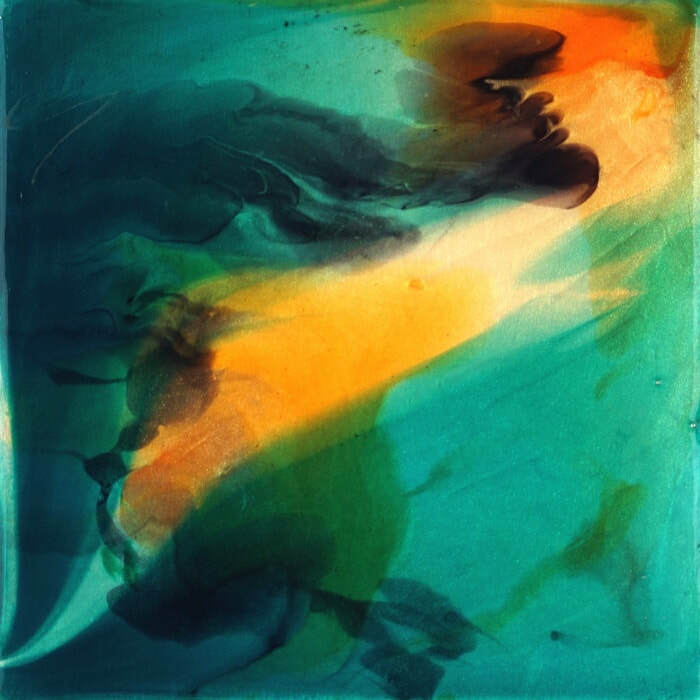 Linda Ryan is a Pour Painting artist who pours, drips, smudges and tilts highly pigmented acrylics suspended in Liquitex Pouring Medium and GAC800 to create works that read like movement caught in fused glass. 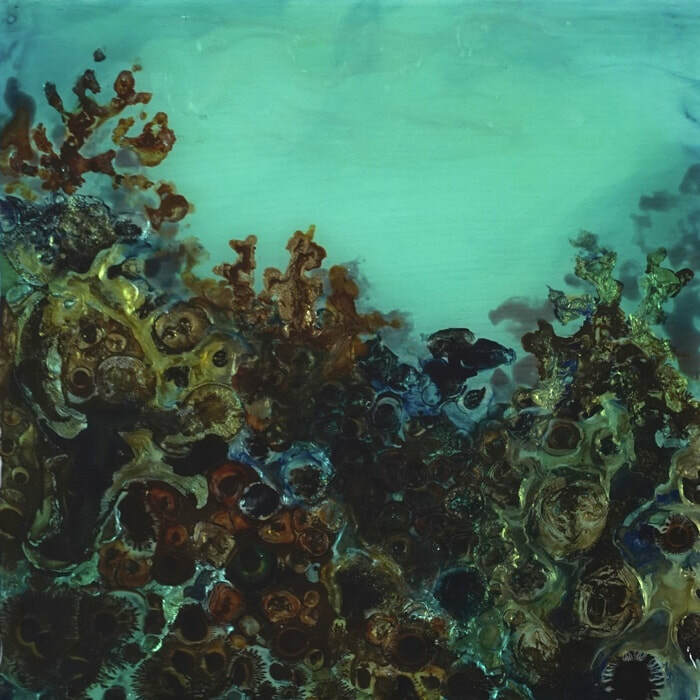 She currently works in two series that feed off each other: Loose, nonobjective motion-based abstracts, and imagined underwater ocean scenes that are built in layers and based on the theme that our oceans are more precious than gold and gems. 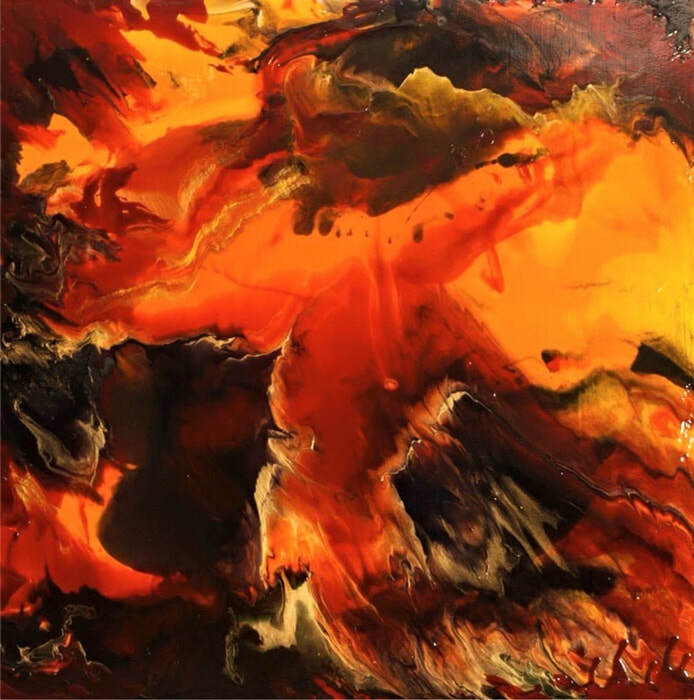 Previously known for her abstract figuratives and dancers as well as her work on behalf of the Livermore Valley California art community, Ryan came to fully embrace pour painting in late 2014 and has been riveted by it ever since. 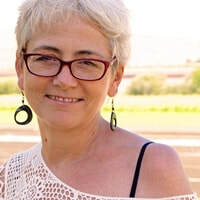 She left a decade-long position as manager of the Bothwell Arts Center in Livermore in March of 2017 to return to fulltime art and focus on further exploring the medium. She is now an artist in residence at the Mendocino Art Center. Her background in art includes studying with hyperrealist Robert Steiner who went on to become the premier Duck Stamp artist in the United States, and painting and history studies with the late Bill Paskewitz. Ryan’s work is in collections in 6 countries and she has been honored with over $11,000 in awards as well as a 2014 Arts Leadership Award from the Alameda County Arts Commission. She works only with high-quality, archival materials and avoids questionable products like silicone, PV4 (elmer’s glue) or craft paint that may delaminate or deteriorate over time. 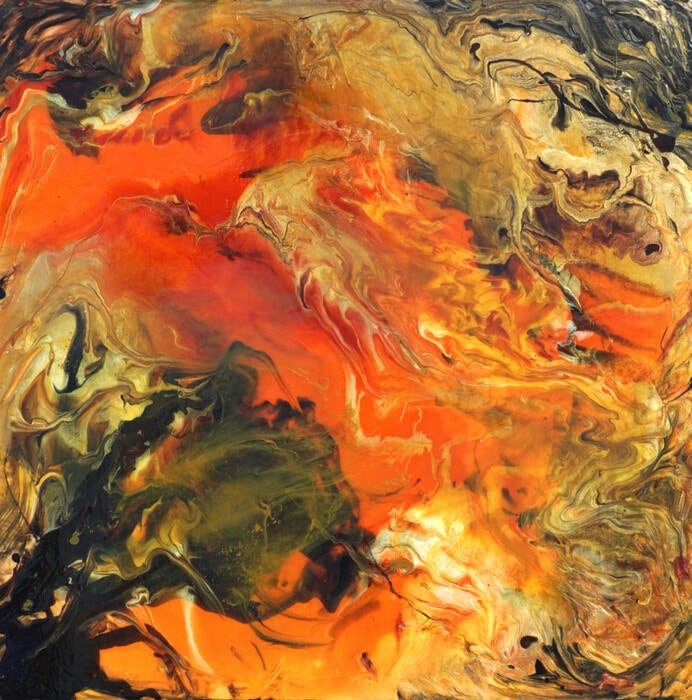 Each work is finished with museum-quality, UV resistant ArtResin for long-term integrity. Currently Artist-in-Residence at Mendocino Art Center, Mendocino, California. Ryan's background in art includes studying with hyperrealist Robert Steiner who went on to become the premier Duck Stamp artist in the United States, and painting and history studies with the late Bill Paskewitz. 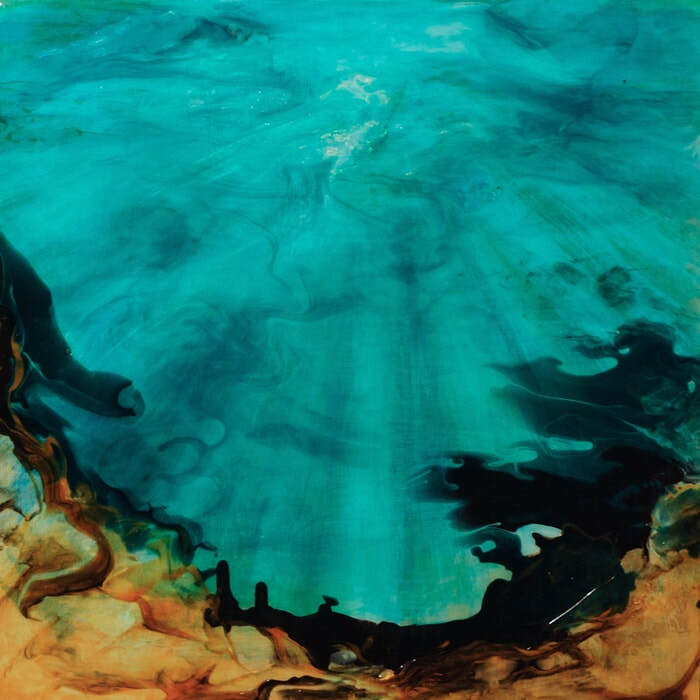 Ryan’s work is in collections in 6 countries and she has been honored with over $11,000 in awards as well as a 2014 Arts Leadership Award from the Alameda County Arts Commission. 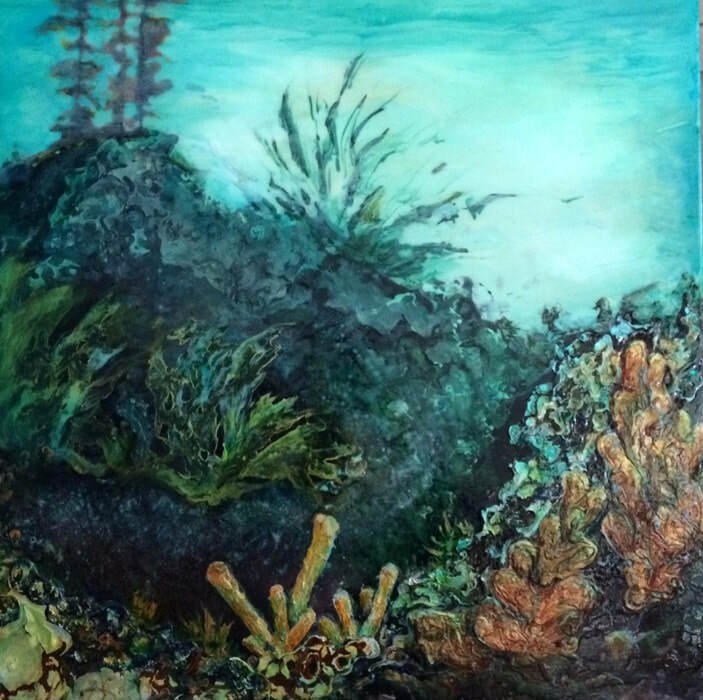 She has participated in exhibitions and art fairs from San Diego to London. Currently scheduling for February in Mendocino.